A nomadic roll-on format for the new Rose feminine fragrance, delicate, green and fruity. The new Rose Eau de Toilette captures the essence of the iconic flower in a dazzling, elegant and feminine fragrance, where modernity meets authenticity. The Rose Eau de Toilette opens with notes of pink Pepper, lychee and raspberry. 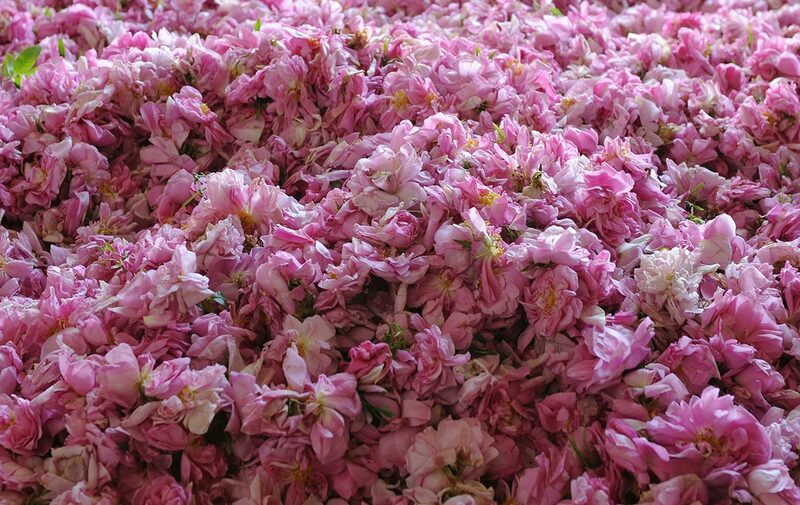 The fragrance soon gives way to an utterly rosy heart. Rosa Centifolia infusion from Grasse, obtained using an exclusive technique that fuses modernity with tradition, mingles with Rosa Damascena absolute, rounded out by violet leaf absolute. Finally, base notes of patchouli and white musk leave a warm, lingering trail. Its nomadic format will slip into your bag for fragrant touch-ups throughout the day. ALCOHOL** - PARFUM/FRAGRANCE - AQUA/WATER** - ROSA CENTIFOLIA FLOWER WATER** - ROSA DAMASCENA EXTRACT** - ROSA CENTIFOLIA FLOWER EXTRACT** - ROSA DAMASCENA FLOWER OIL** -SODIUM BENZOATE - ETHYLHEXYL METHOXYCINNAMATE - ETHYLHEXYL SALICYLATE - BUTYL METHOXYDIBENZOYLMETHANE - BENZYL SALICYLATE - ALPHA-ISOMETHYL IONONE - HYDROXYCITRONELLAL - CITRONELLOL - EUGENOL - LIMONENE - LINALOOL - GERANIOL - BENZYL ALCOHOL - CITRAL - CI 17200/RED 33 - CI 19140/ YELLOW 5.